Patagonia has been a long time supporter of Chicks Climbing & Skiing and we are proud to have them on board as our Title Sponsor. Patagonia’s mission is to build the best product, cause no unnecessary harm, use business to inspire and implement solutions to the environmental crisis. They grew out of a small company of climbers with their roots firmly planted in alpinism. Patagonia’s approach to product design is based upon utility and simplicity. They begin with sustainably sourced materials to help minimize the environmental decline of our planet. Their love for the outdoors drives them to be activists to conserve them for the present and future generations. They donate time, services and 1% of their revenue to help reverse the degradation of the environment. We salute their leadership with environmental and social responsibility. Chicks loves that Patagonia stands behind this ethos because we feel strongly that caring for the environment is paramount for the well being of humankind. 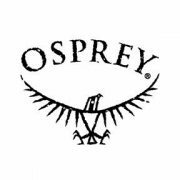 Couple that with the fact that they grew from a small company of climbers and surfers to one of the most successful outdoor brands in the market, what’s not to love? Sterling Rope is Chicks Official Rope Sponsor. They have been a supporter of women’s climbing programs since before it was the “thing” to do. Sterling was founded and is owned by a woman. Their products are Made in America with manufacturing just outside of Portland, Maine. Our favorite ropes include the Nano 9.1 and the Helix 9.5 and all our Chicks participants will have the chance to take them for a ride during our programs. Vision. Innovation. Commitment. Passion. These are the trademarks of Sterling Rope and what separates Sterling and their products anyone in the industry. Their vision is to build a brand that is the trusted name in life-safety products. Their commitment is to provide the absolute best customer service, to be environmentally right, and community-oriented while building the most technically advanced, highest quality rope available. 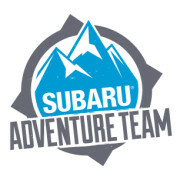 Subaru Adventure Team is Chicks Official Adventure Sponsor. They are an organization dedicated to celebrating and supporting Subaru owners and fans engaged in human powered recreation. They are passionate about the outdoors and love the all-wheel-drive cars that deliver us to blank spots on the map. Subaru has provided Chicks Scholarships to women over the past three years, providing opportunities to those who might not have the chance to experience a Chicks clinic. This year they’ll be sending another fortunate gal to one of our Ice Climbing Clinics. Keep an eye out for their latest and greatest Subaru on the road and at the crags. Their team loves to play and are always interested in what adventures you are up to. Grabber is Chicks Official Temperature Regulator. Their innovative “HotHands®” are always in our pockets or packs for winter sports and in the glove box of our Subarus for winter blizzards. A little added warmth makes all the difference and stave off the dreaded “screaming barfies”. Their full line of warming products include hand warmers, toe warmers, foot warmers and even body warmers. These little, light weight packets of warmth can help change a miserable belay to manageable and help set you up for success on the pitch. We don’t leave home without them. 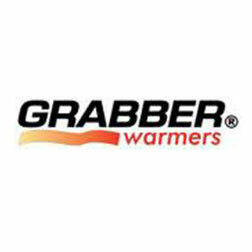 Grabber provides hand warmers to all of our participants on our winter programs. Black Diamond Equipment is Chicks Official Technical Equipment Sponsor. At Black Diamond it’s all about climbing and skiing. BD shares the same experiences that we do on rock, ice and snow and these experiences push BD to make the best gear possible for their worldwide family of climbers and skiers. What began with a backyard anvil and a hammer has now grown into a global company with offices on three continents. Black Diamond is a company that’s not just for rock climbers and skiers, but one that stands for the spirit of the sports we live, their values and goals, past, present and future. Since 1957, their innovative gear designs have set the standard in numerous areas. This is partly the result of dedication, desire and diligence on the part of an incredible team of people. It’s also a product of the fact that each of them are climbers and skiers themselves. 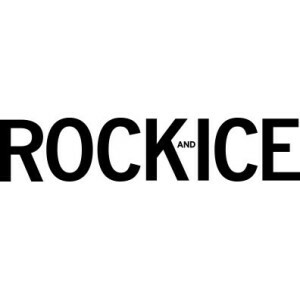 Rock and Ice is Chicks Official Media Sponsor. Each issue of Rock and Ice contains approximately four features, with over a dozen standing departments including the analytical, Accident Prevention, various interviews in the Snapshot (previously called Spotlight) and What I’ve Learned departments, Training and Medicine departments, gear reviews, a section of coping and survival stories called My Epic, personal and humor columns, and photo galleries. Features range from adventure stories to destination pieces, human-interest profiles, topical and historical pieces, and polemics. Chicks proudly advertises all of our programs through Rock and Ice in print and online media. The Twin Peaks Lodge & Hot Springs in Ouray, Colorado is Chicks Official Basecamp Sponsor. Formerly known as the Victorian Inn, it has been our home away from home from the beginning, providing us with unrivaled hospitality and comfortable accommodations within walking distance of the Ouray Ice Park. Each room has been updated with new mattresses and pillows, luxury linens, and duvets. A continental breakfast is available at 6 am and a full hot breakfast is served daily from 7-9am daily. The rooms have a mini refrigerator and plenty of room to make yourself at home during your stay. Organic soaps, lotions, and shampoos all add to the quality that is part of the Chicks experience. At the end of a day on the ice you can soak your weary muscles in one of their hot mineral pools on-site. SCARPA has been a longtime supporter of Chicks Climbing and Skiing, providing the best quality Italian footwear across the board for all mountain sports from trail running to rock climbing, alpine climbing, and ski mountaineering. 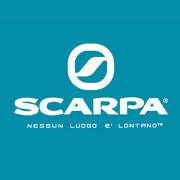 We are proud to represent SCARPA and provide our participants with some of the best quality Italian footwear on the market. We live by their Motto “There’s No Place Too Far” and their passion for mountain sports. Based at the foot of Mont Blanc, the Grivel family of blacksmiths has made innovative, technical climbing products since 1818. Since 2009 they have committed to using solar energy to produce cleaner and more eco-friendly products. Grivel products are all exceptional quality, produced with an unrivaled experience. 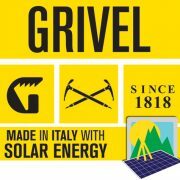 We are proud to represent Grivel and give our participants the opportunity to demo these fine tools. GU created the first energy gel 20 years ago. Today they offer the widest variety, best tasting and most nutrient rich hydration, energy and recovery products on the market. As nutrition scientists and athletes, they know that through training, we grow stronger, get faster and learn how to endure more. We are proud to partner with GU to help our participants grow stronger and optimize their performance to achieve new breakthroughs. Petzl’s mission is to create innovative tools and services that allow men and women to progress, position, and protect themselves in vertical environments, as well as to light their way in the dark. We are proud to support our ascents and descents with Petzl products, a Chicks Climbing and Skiing sponsor for years. Ripple Effect offers individualized training programs to meet your needs. Their training philosophy was born of the mountains, of high standards and hard work. No matter the athlete, our craft applies: wield the “tools” of a unique training environment to create a better, faster, stronger, more conscious human being. 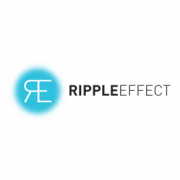 We are proud to partner with Ripple Effect as a regular contributor to our blog. They offer unrivaled training tips and advice on how our participants can be better prepared for all of their climbing and skiing adventures. 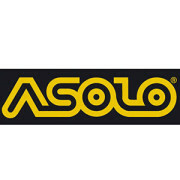 ASOLO has been a long time supporter of Chicks Climbing and Skiing. We are proud to represent their fine line of women’s alpine climbing and approach shoes and provide our participants with the opportunity to experience them firsthand. 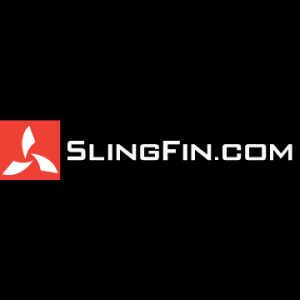 SlingFin makes some of the highest quality, innovative and light tents on the market. We are proud to represent their products and provide our participants with the opportunity to experience them firsthand. The Silverton Avalanche School is a non-profit organization that has been in operation since 1962 and educated over 4000 students from beginners to top-level professionals. They’ve been industry leaders in avalanche education, teaching folks how to recognize avalanche hazards, determine snow stability, organize and carry out rescue operations and become competent backcountry travelers for 55 years.